Our family reviewed the Zoom Ball Hydro from Goliath Games US and we had a super fun time doing so! 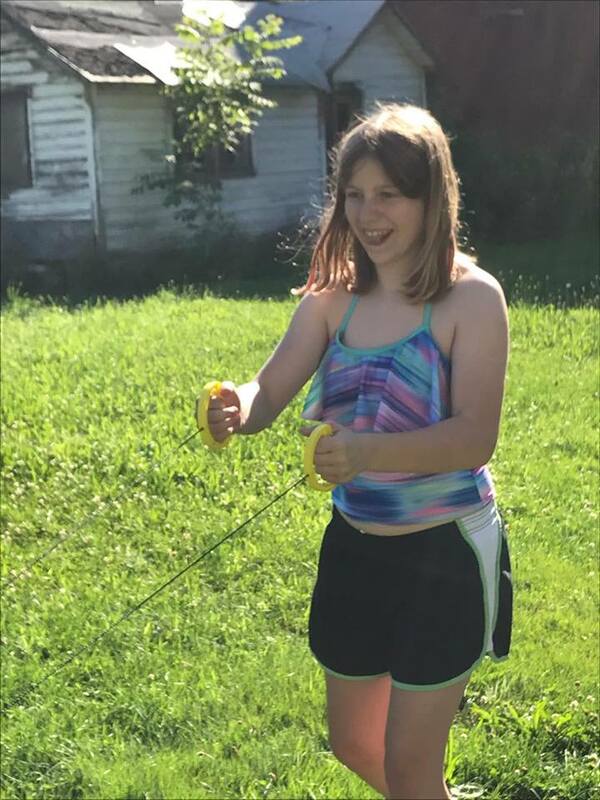 On those hot and humid summer days it's fun to pull out a water game and cool down. It's also important to keep our kids active and entertained in the summer months. 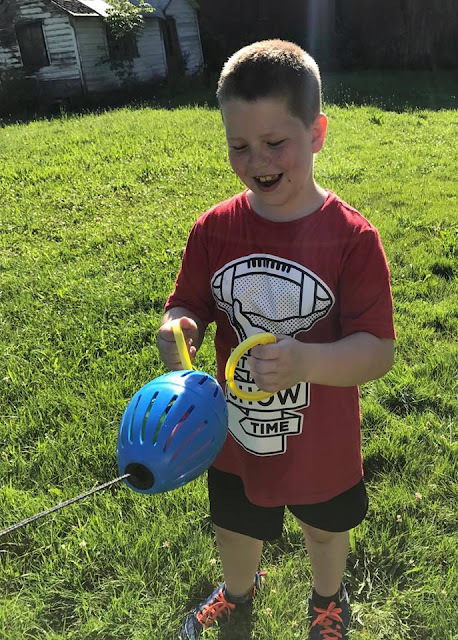 I have a grandson who if not for being structured in soccer, football and other family outings would easily get caught up in spending his days in front of the television or playing on electronic devices, therefore, I love to get games that get him excited about getting outdoors. 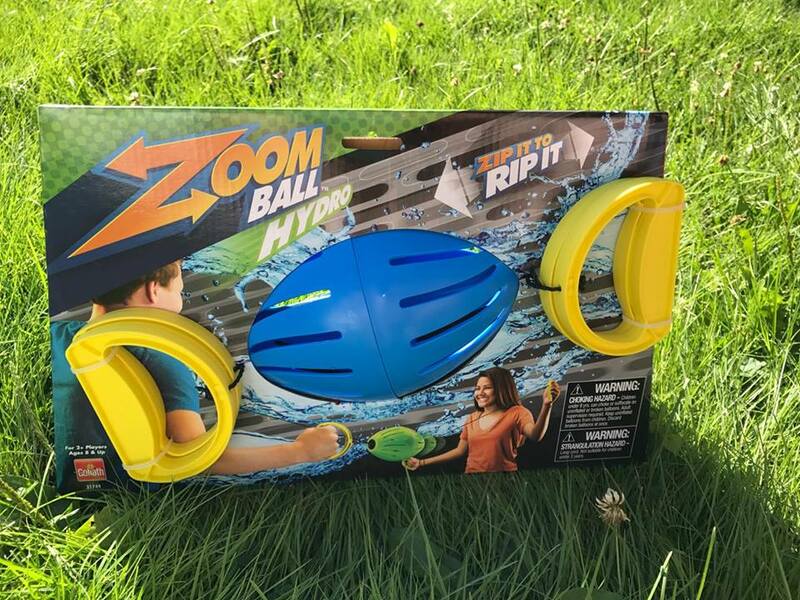 The Zoom Ball Hydro from Goliath Games is a 2 player water game with the added fun element of water balloons. One person holds onto one set of handles while their partner holds the other set. Pull the handles to send the zoom ball flying over to your partner and be ready for it to come zooming back. You never know when the balloons are going to bust, so be prepared to have a wet and wild time! 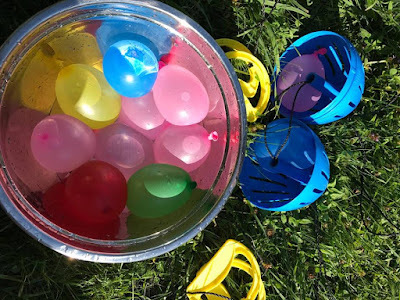 It is an action packed game that has a feel of the classic Hot Potato, Hot Potato game, in this case whose going to end up being soaked when the water balloons finally pop! I think there was a bit more posing than playing in the top one, but the bottom one she has her game on! She even gave her mom a run for a game or two. This is what my dad called good old fashion memory making right here. I like toy companies like Goliath that make it affordable to buy games and toys that keep our kids entertained for hours. We all had a super fun filled time playing with the Zoom Ball Hydro. It is hard to find active things for older children that they will really enjoy. The Zoom Ball Hydro did just that. 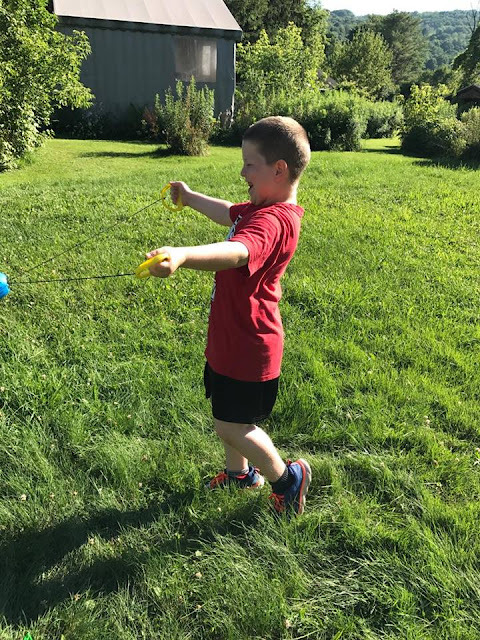 The younger 2 couldn't play it so we gave them water balloons. Goliath Games markets brands such as Rummikub, Triominos, Rolit, Wordsearch, Pop the Pig, Doggie Doo, Gooey Looey, Robofish, Domino Rally and many more sold under the flag of Goliath. Currently Goliath owns and operates offices in France, Germany, Spain, Portugal, Poland, Belgium, Netherlands, USA (Goliath LLC and Pressman), Canada, Hong Kong and Australia (Crown; & Andrews). Their head office (R&D, financial administration and logistics) is located in the Netherlands, from where they export to approximately 70 countries world-wide. The Goliath slogan is ‘Clever Together!’ this applies to their products that combine fun and wittiness, as well as the internal processes of creating and marketing them. Cool game I want one. It looks fun. They can be purchased at Toys R US or Amazon. 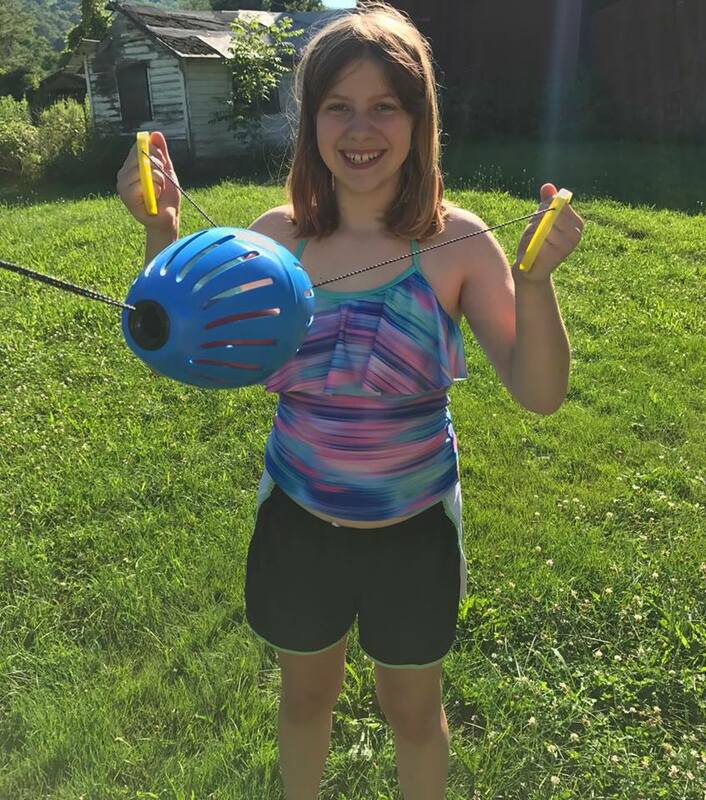 Summer, water and balloons go together. Thank-You, check back there will always be new ones! What a fun game! This will keep the kids outside! This looks like a fun way to get the kids outside and keeping cool while playing. I think some of the adults in my family would like this as well!